See? Dr. Luke isn’t so bad, you guys. 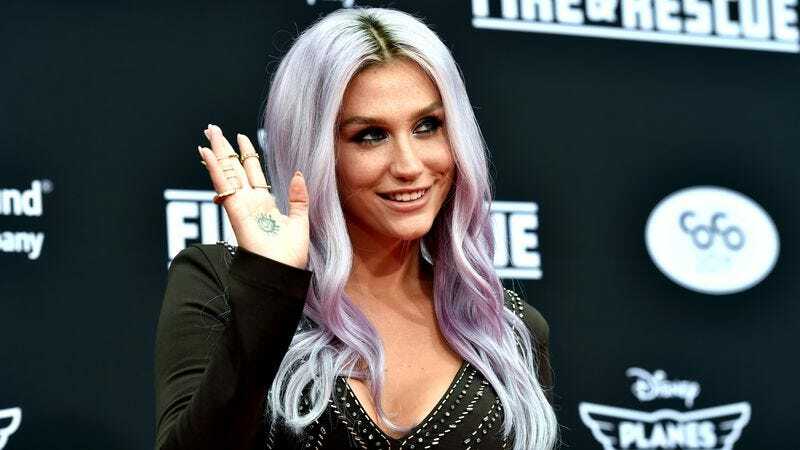 Sure, he’s been accused of sexually and verbally abusing Kesha while working as her producer, but now that she’s taken the whole thing public with a highly publicized lawsuit, he’s going to let her off the leash a little bit. Not let her out of her record contract, mind you. But he will allow her to perform at the Billboard Music Awards this Sunday after all, now that she’s promised to be good. In a statement to BuzzFeed News, Dr. Luke’s record label, Kemosabe, says the performance of Bob Dylan’s “It Ain’t Me, Babe” “was always approved, in good faith,” but that approval was rescinded after the label got word from a “media report” that Kesha planned to use the platform to make a statement about her legal situation. But after receiving reassurances from Kesha that she wouldn’t do that—echoing her Instagram post on Tuesday where she said she “simply wanted to sing a song I love to honor an artist I have always looked up to”—apparently the performance is back on, the day after Kesha went ahead and sang the song anyway on stage with Ben Folds. Funny what a little bit of overwhelming public scorn can do.